This post is sponsored by BottomZz Up® and D’Brief’s. As always, all thoughts and opinions are my own. Now that we’ve entered the toddler phase with Levi, there’s something that’s been on my mind a lot: potty training. While we aren’t quite there yet, I know it’s one of the next big milestones around the corner. In a way I can’t wait, but I am also dreading the process. I know that with potty training can come a ton of mess and let’s face it: waste. Disposables are expensive and when potty training, that cost can increase drastically! Recently, I was introduced to BottomZz Up® and I am so excited to share it with you all today and who better to tell you about their product than Lynn Tilker, founder of BottomZz Up®, who might I add, just launched this product on Kickstarter to raise enough funds to produce the first batch of what is going to disrupt the potty training marketplace! Tell us about BottomZz Up®. BottomZz Up® is a revolutionary potty training system that I am so excited and passionate about. Just this week, I announced that I am raising funds via a crowdfunding campaign on Kickstarter to launch my patented solution that offers parents and kids less stress, less environmental waste, and more fun than traditional training methods. BottomZz Up® provides parents with everything they need to rock potty training 24/7 in one box, and it is the perfect fit for eco-savvy families who are afraid to go straight to underpants but don’t want to expose their kids to toxic chemicals or contribute masses of training pants to land fills. Why did you invent BottomZz Up®? Potty training is one of the biggest milestones in a toddler’s life and let’s face it, something we as parents dread. It’s messy and stressful! For parents and especially toddlers, this is a huge leap from total dependence to independence and something that should be fun and celebrated in every household! 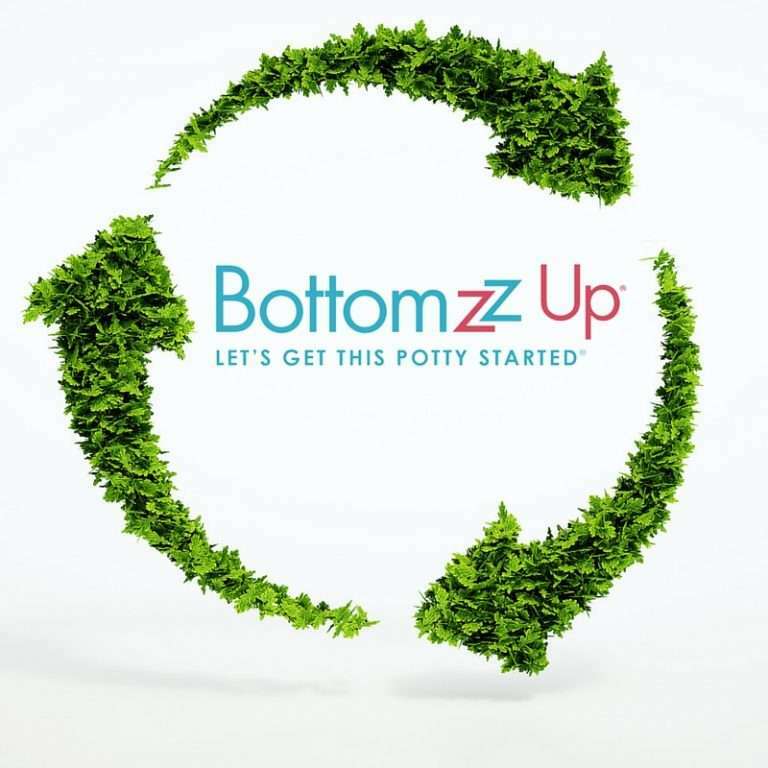 I knew there had to be a better way to potty train that could be fun, fast-paced and environmentally friendly; which is why I created BottomZz Up®. I’ve tested the product firsthand on my own daughter, Harper Rose, who was the first graduate of the BottomZz Up® training system. Who is BottomZz Up® for? BottomZz Up® is for children ready to potty train. BottomZz Up® is the only non-toxic potty training system that teaches tiny thinkers to stop, drop, and plop on the pot by letting them feel the discomfort of their accidents without the mess leaking out! 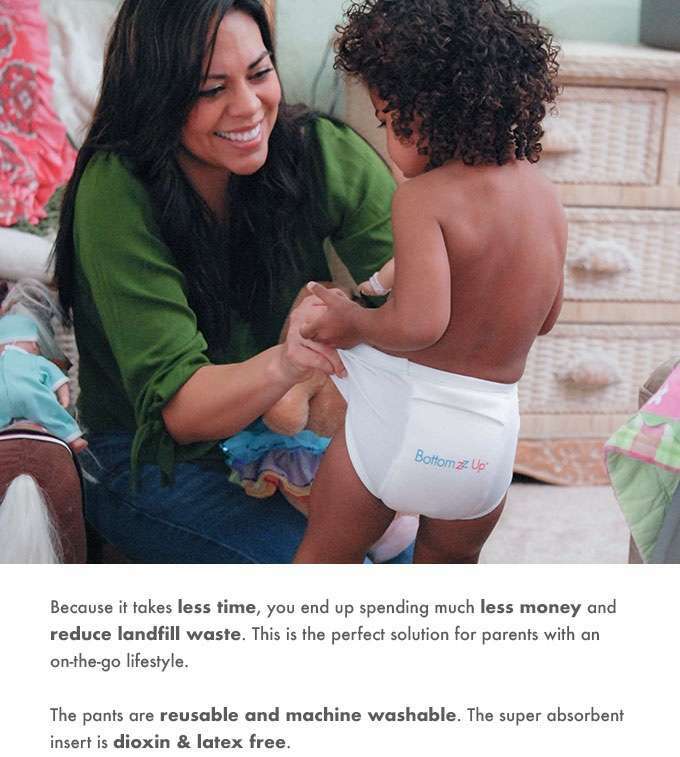 The 100% cotton pull-on potty training underwear is perfect for families on-the-go. BottomZz Up® offers the consistency, routine and encouragement kids need to be successful quickly, day and night, home or out on the town. Equally important, BottomZz Up® also helps parents save money and reduce environmental waste compared to disposable training pants. What advice would you give to parents who are ready to use BottomZz Up®? First of all, the simple all in one BottomZz Up® Potty Training Tool Kit includes everything parents need to smoothly transition their toddler to big kid underpants while having fun doing so (that makes it easy for parents!). Children ready to potty train should wear the BottomZz Up® potty training underwear day and night. Stickers (included in the Tool Kit) should be placed by the potty so every attempt can be encouraged and rewarded. And finally, consistency. Consistency is the key, even at bedtime! Every kid is different, but after using BottomZz Up®, parents will see less accidents and more trips to the potty. 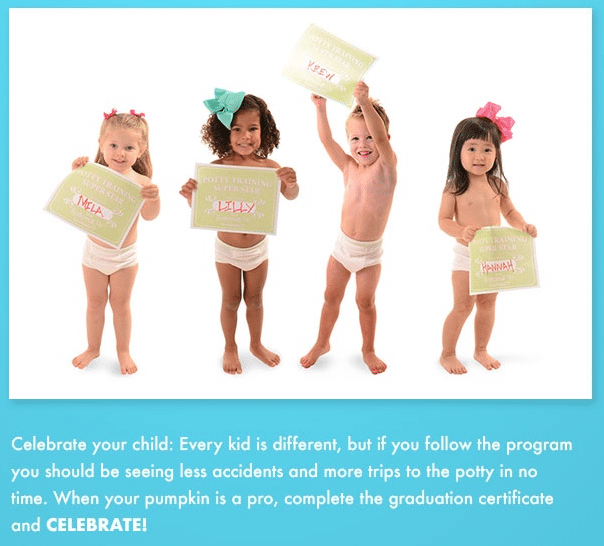 When little ones become potty pros, complete the included graduation certificate (also included in the Tool Kit) and CELEBRATE! This is amazing advice for a mom who is nervous about potty training like myself. 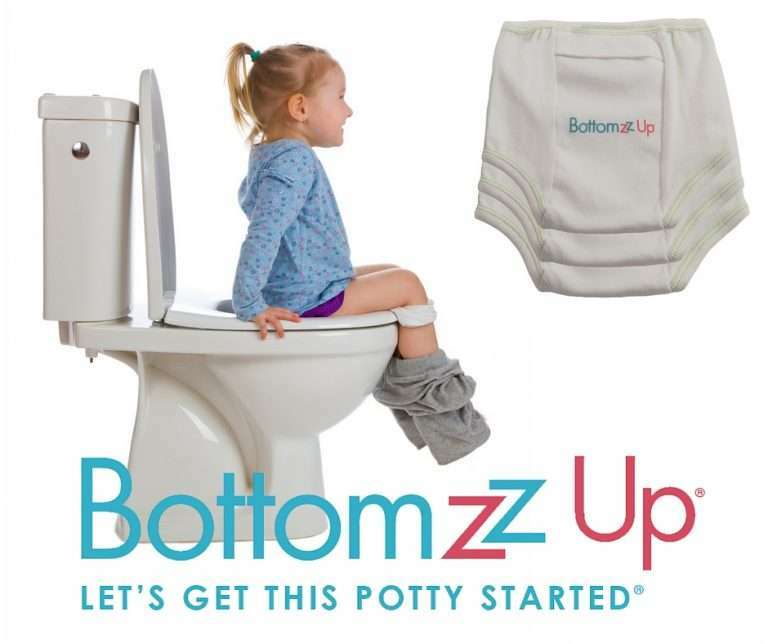 I truly cannot wait to use BottomZz Up® for potty training our toddler! I am so glad we have 2 ish years to prepare. I still may not feel ready! I really want to try this!! my son is almost to that point and I am not ready, but I think he is! that is awesome! We have just started potty training little one using the method. I am very curious to see if it works for him! Thank you!